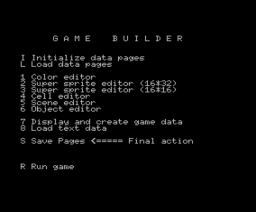 Note: GameBuilder contains a modified disk version (page2.bin) of the MSX-BASIC KUN compiler from ASCII. 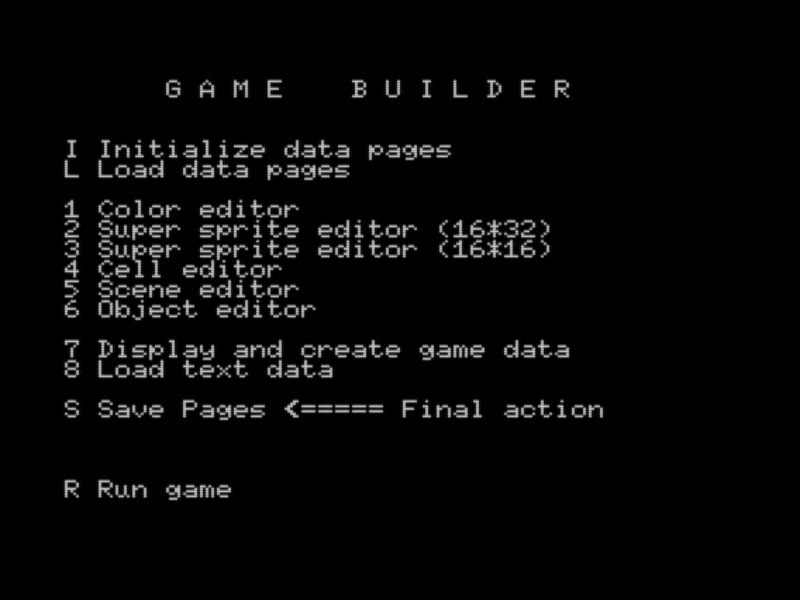 This was first mentioned in the Dutch MCM41 magazine in their review of GameBuilder. The modifications where mainly that CALL TURBO ON and CALL TURBO OFF which where changed to CALL SPEED IN and CALL SPEED OUT, which makes it less obvious that it is the KUN compiler. In the review it was therefore insinuated this may be an illegal distribution of the KUN compiler, which was before then only available as a ROM. In MSX Club Magazine 33 (page 19-20), they comment on this and claim they have a distribution agreement for the KUN compiler, but as part of the agreement had to keep quiet about it.